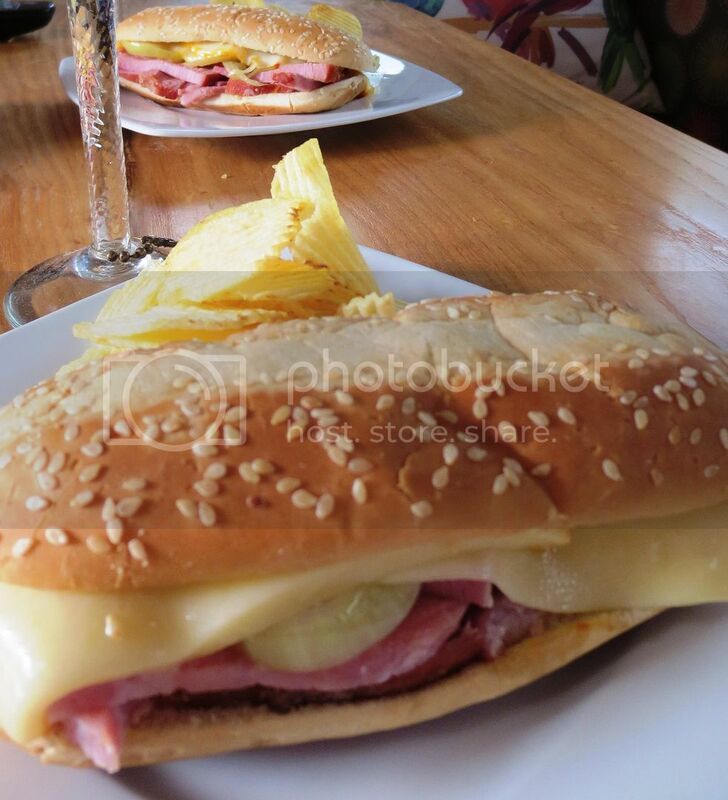 Champagne brunch this a.m. - Ham & Muenster Sandwiches and later grilled flank steak and potatoes. I don't know if anyone ever makes carrot and raisin salad, but I grew up on it. Just carrots, raisins and a dressing my mom always made - mayo, milk, sugar. I Kind of make this in my sleep, but yesterday, I had some sorry looking green onions and added them. Wow! What a great new flavor to an old favorite. Now, I'm thinking of other modifications - maybe I'll go with my slaw dressing with it. I love that salad, Jean. Sadly, Ron won't touch it with a 10 foot pole. Says he does't like raisins. Who doesn't like raisins??? We have just enough roast beef left over to have for dinner tonight, so it will be a repeat of last night. I will add either peas or green beans. There is one lone piece of gingerbread left, so Ron gets that. I really don't like raisins either - so I've always used currants, smaller and easier for me to enjoy! Leftover chili and corn muffins. Jean, carrot salad is a favorite here. Because of the sugar content, I will not be making it that often but I have added spring onions in the past...also parsley. Leftover corned beef...hash from C@H recipes. Maybe not. Feeling a bit under the weather but sometimes cooking takes my mind off of the flu signs. Oh, oh, take care Roxanne - you make Peter healthy and you get sick. Not good. An old family favorite from the 80s and the local Round Table pizza joint – Ham & Muenster Sandwiches. 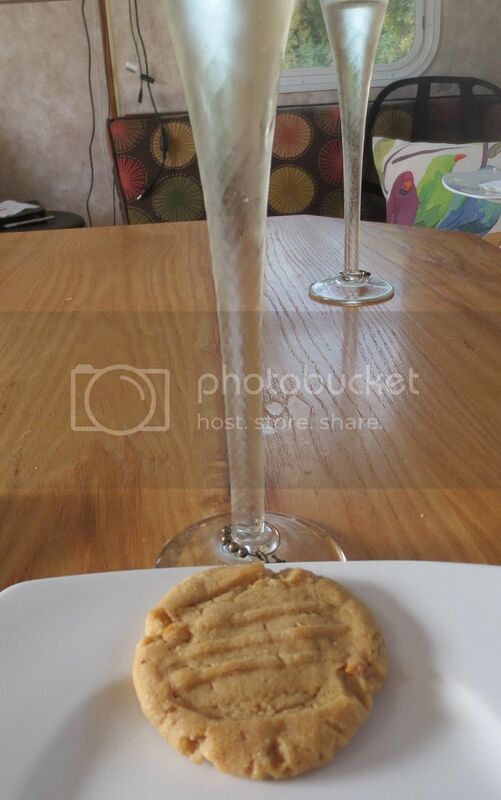 And, I made a batch of peanut butter cookies for Great-grandson, Airien, so had to test with bubbly – works!! That sammie looks so good. Tonight it's French toast with apple-maple-rum sauce and sausage. Minions!! Minions!! At the Jersey Shore, like Seaside Heights, they have big stuffed Minions as prizes for the boardwalk arcade games. Made 2 lbs of chili yesterday. Having some tonight! Oooopps! We moved from there in 1977, DUH, so it was the 70s. piddle, that's a Heck of a long time! 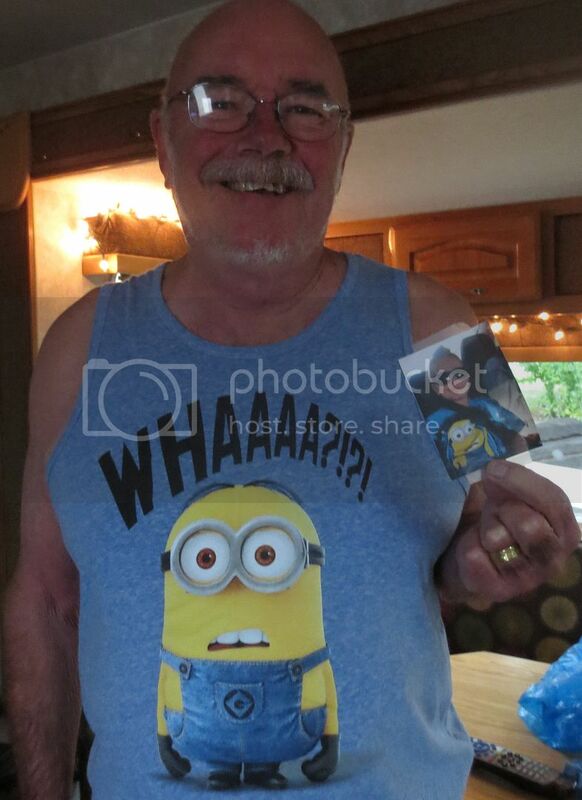 Love the minions and the sandwich. That's my kind of brunch, Jean! We're having a stir-fry that we've loved for a really long time...like since my older son was an infant. It's one of the few dishes that continues to satisfy after many years.